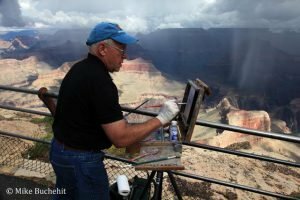 One of Grand Canyon National Park’s most anticipated events of the year will take place this week as two dozen plein air painters fan out across the South and North Rim viewpoints to put the canyon on canvas. The 6th annual Celebration of Art is co-sponsored by the Grand Canyon Association and the National Park Service. 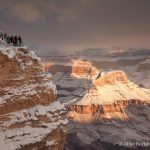 It was conceived as a means to inspire park visitors, support the arts in one of the nation’s Crown Jewel national parks, and to build support and funding for a permanent art museum on the South Rim. Throughout the week the juried, blue ribbon artists will be giving live demonstrations, public presentations, and mingling with the visitors between brush strokes. 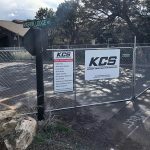 The celebration culminates in a quick draw competition and live auction on Saturday, September 20, and the opening of a public exhibit and art sale on Sunday, September 21 (which will run through January).